This album is a really good rock/blues album and I just love Hagen's voice! Anyone have any info on Hagen? All I know is that he's German. Update: Edit, ^^(A)^^; Thanks for that link! Update 2: Edit; Cheetah; thanks, that's very interesting. Best Answer: I head "We've Got A Long Way To Go" on youtube and the little 30 second snippits on iTunes, and i LOVE it. It's definitely better than Joe Perry's first and second solo albums. I'm just kind of upset i don't have money to buy it right now. I like it! I hadn't heard anything about it before. Thanks. I looked up Hagen. Evidently he had posted clips on youtube of himself performing some Aerosmith songs. He is 28 years old. Perry sings on most of the tracks, while an unknown German singer named Hagen Grohe sings on four. Perry's wife, Billie, discovered Grohe on YouTube and they brought him over to the United States. it incredibly is a reliable disk. i became into in a band approximately that element and we did enable the track do the talking. No Aerosmith songs. For Aerosmith I desire the disks night interior the Ruts and Rocks. extraordinarily worn on the 1st disk. Toys became into the 1st CD I ever bought. right now I even have heard all of it lots as much as night interior the Ruts i will't see myself putting a disk in returned. they're all interior the Stairway/Freebird territory now. I've heard a couple of tracks already and like what I hear - It's an album I'll have to dig a bit deeper into. That was pretty cool. I actually wouldn't be surprised if I ended up prefering it to post 80s Aerosmith. I have never been a big fan of his solos in Aerosmith songs, but I admit these are awesome. 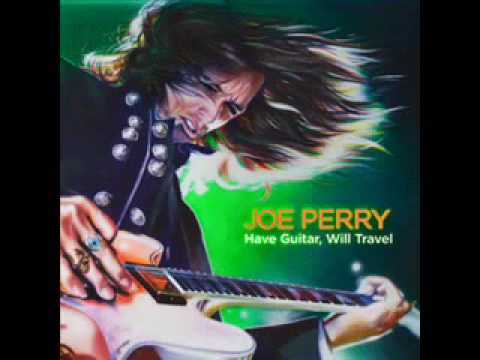 i have liked every joe perry project album. they played in foxborough, ma a few weeks ago at a rinky dink hotel bar. i could not make it sadly. I seldom look at this category of Y!A but finding this made it worthwhile. I hope it becomes available soon on emusic.com. I'll buy it. I have not hear it before, but will be looking into it. good links by the way. Savoy Brown fans, what do you think of this double Live album released in 1981? Survey for my school project (no need to look up answers)? What are some concept albums and rock operas that I could add to my list? Survey for my school project?